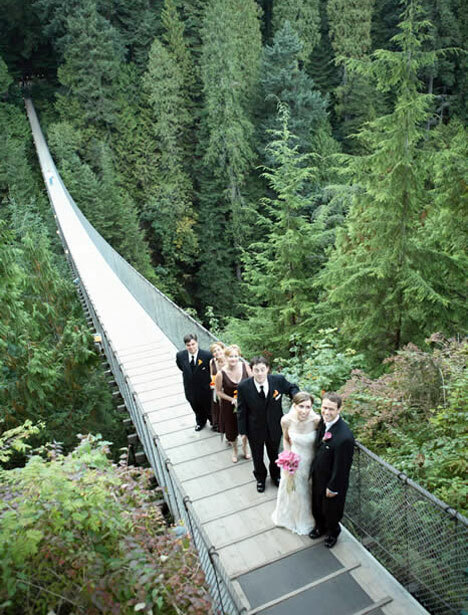 bride.ca | Capilano Suspension Bridge Voted "Most Romantic Wedding Location"
Capilano Suspension Bridge Voted "Most Romantic Wedding Location"
A special congratulations goes out today to Vancouver's Capilano Suspension Bridge, which has been voted one of the most romantic wedding locations in the world(! ), in a story by the Travel Channel. That's just great :-) A big congratulations from us here at bride.ca. Keep up the good work! More Romantic Wedding Locations in Vancouver? Check out our Secret Gems story from last month and browse Ceremony or Reception listings in the directory.